Film is not dead. In the case of instant photography, everything old is new again. Recently, there has been a resurgence in film. Most of the revival has come from the variety of instant cameras on the market. In this day and age, although handy, smartphone cameras have destroyed classic photography as most people reach for their phones instead of their DSLR. To that end, it’s refreshing to see instant cameras and the vintage-inspired prints they produce making a comeback. Captivated by instant-picture photography? Two of the most popular instant cameras on the market today, the Leica Sofort and Fujifilm Instax Mini 9, are well worth the investment. Released in late 2016, the Leica Sofort is the first instant camera from the German company. 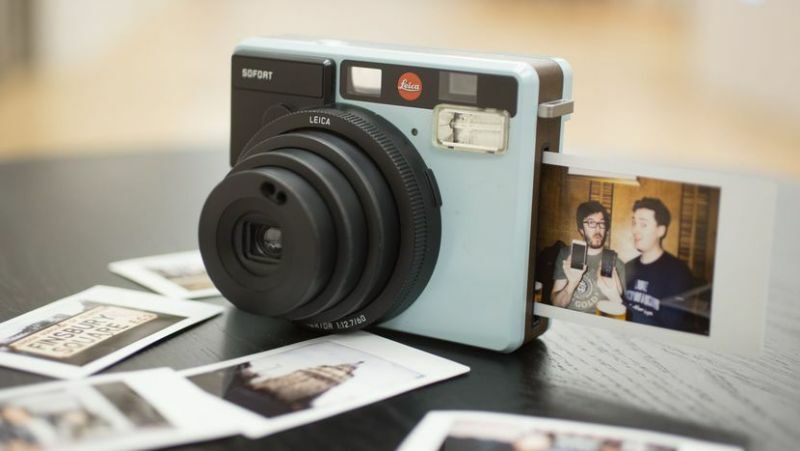 It is an adorable instant camera that shoots tiny, business-card sized photographs. While the camera is not as high end as the company’s other offerings, it is currently one of the most sought after instant cameras on the market. Not to be taken too seriously, the camera brings the fun – Leica Sofort is there to capture life’s magical moments. The camera comes in three contemporary colours – orange, mint and white – and features simple operation and a variety of manual settings. The Leica Sofort has a program to suit every occasion. Simply pick the program you need, focus on your subject and shoot. The Leica Sofort also allows users to take control of the flash, focusing distance and exposure compensation. Although more expensive than other instant cameras, the Leica Sofort is affordable with prices starting as low as B9,000. The Fujifilm Instax Mini are a series of tiny cameras that are easy to use. Inspired by the days before digital cameras, the Fujifilm Instax Mini features stylish designs and prints out credit-card sized images. One of the most popular cameras in the series is the Fujifilm Instax Mini 9. 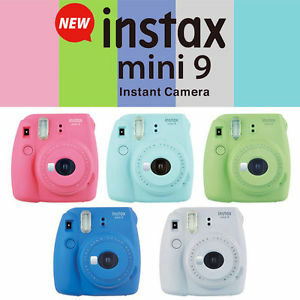 Available in Flamingo Pink, Cobalt Blue, Lime Green, Ice Blue and Smoky White, the camera is as stylish as it is functional. This particular model has a 60mm f/12.7-f/32 Fujinon lens that is in focus from two feet to infinity. The optimal viewfinder is spot on and there is a built-in flash as well as auto-exposure mode. The Fujifilm Instax Mini 9 also features a selfie mirror, manual brightness adjustment and a macro lens attachment. It is a durable little instant camera with a great price. In Thailand, the Fujifilm Instax Mini 9 starts at an affordable B3,000. Not willing to throw down the cash for an instant camera? Check out the Polaroid Instant Mobile App instead. Designed with the spirit of vintage Polaroid Instant Cameras in mind, the app allows users to select a photo from their library or shoot a new one. 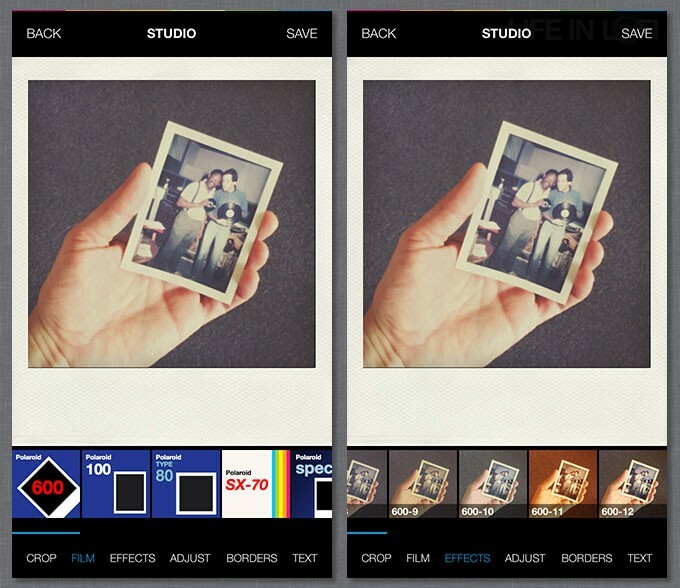 Afterwards, add an authentic Polaroid-like filter and select Polaroid-style frames, add text and share instantly. The variety of instant cameras and apps on the market today invoke the perfect blend of nostalgic instant photography and modern technology. Get on out there and get snap happy!